What experiences, histories, and beliefs make up your personal archive? How do you propel yourself to rigorously engage with this archive? How do you bring your personal archive into collision with your artistic practice? The raw materials that makes up each individual artist are often overlooked in favor of a focus on technique, skill and accomplishment. We believe that a disciplined and rigorous engagement with the artist’s personal archive is essential to meaningful creation and innovation. The continuous growth and development of an artist can only occur when we create opportunities for conscious collisions between ourselves and that which is unfamiliar artistically, culturally, and philosophically. These collisions compel us to expand and articulate our own beliefs. This is the tectonic challenge for the artist. It is then through one’s own artistic practice that we begin to reconcile our personal archive with our work. This cycle of conscious collision, articulation and artistic practice is the backbone of Theater Mitu’s international training intensives. Theater Mitu is deeply committed to expanding the definition of theater through methodical experimentation with its form. This summer, the company will create the opportunity for six individuals to join us in Japan to rigorously experience our methodology of interdisciplinary and transglobal training, research and creation. Physically: as we train with Japanese masters and artists in a range of forms and practices. Philosophically: as we engage and incite challenging dialogues about practice, process, methodology, politics, community and technology. Socially: as we learn from and participate actively in the thriving Japanese artistic community while constantly pushing and challenging ourselves. 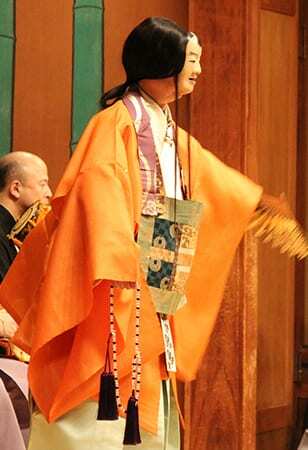 Culturally: as we encounter Japan’s seamless merging of ancient traditions and modern practices. Artistically: as we explore innovative creation and collaboration frameworks through a variety of performance and training opportunities. TUITION: $7,000 USD (includes round trip airfare from New York City, classes, housing, local transportation and costs associated with cultural immersion experiences and performances). The application deadline for this year’s intensive has passed. If you have any questions about the program or our international research and training initiatives please contact jnestor@theatermitu.org.